Zeeda was raised in the Fisher Housing Project on the West bank of New Orleans, She is the youngest girl of 8 children, whom all were raised by a single mother. Her father was shot in the head on the streets of California when she was only four years old. Zeeda’s mom worked extremely hard to provide a stable environment for her family, although it was sometimes chaotic. Being without a father this led Zeeda to look for love in all the wrong places. By age 16 Zeeda was pregnant and forced to drop out of high school. By age 21 she was pregnant again and in a very abusive relationship with a local drug dealer, who was mentally, physically and sexually abusing her. Not long after finding out about her pregnancy Zeeda was incarcerated as an accessory to a crime. After four months, she was released from prison; although she was released, she was still mentally locked up . Overwhelmed with pain and sadness, she attempted suicide. Unsuccessful in her suicide attempt, Zeeda begin to do some soul searching, and came to the conclusion that all that she had been through was for a purpose! 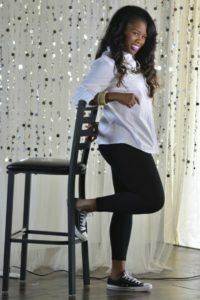 Zeeda’s magnetic personality has the ability to captivate the attention of people of all ages, and from all walks of of life! She has been coined the Power Speaker for the NEXT and NOW generation! 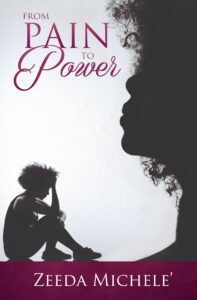 Last year she released her first book ‘From Pain To Power.” This book is motivating and transforming the lives of all the people that it comes into contact with! If you are looking for a speaker that will leave a long lasting impact…Zeeda is your speaker!